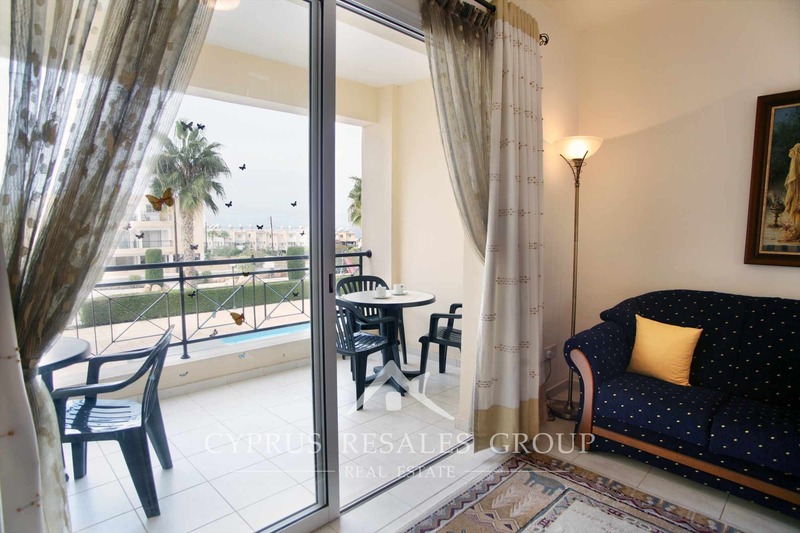 This lovely 3 bedroom 1st floor apartment in located in the popular resort complex Melania Gardens, a firm favorite with all nationalities. 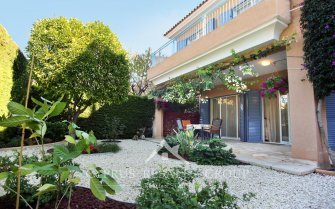 Buyers love the plateau setting and palm lined streets. 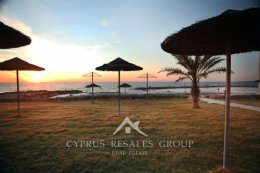 Being only a few hundred meters from the traditional village means you will have all the amenities very close to your new residence. 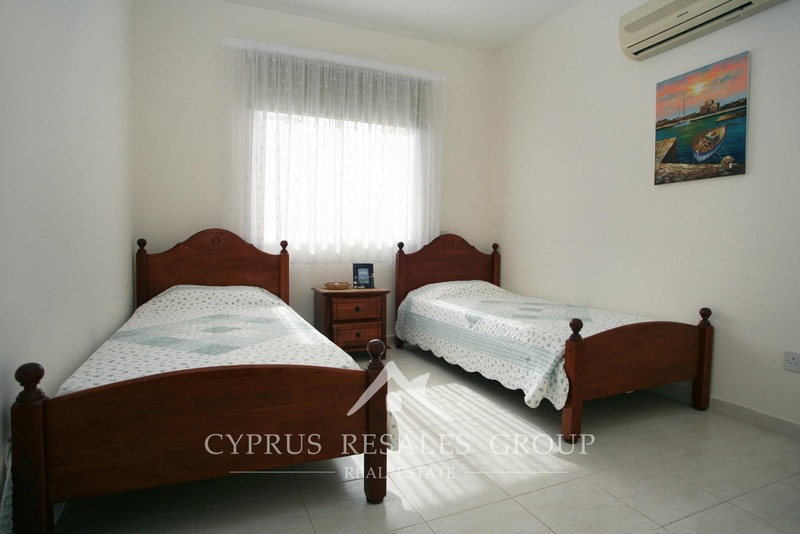 Meanwhile Paphos is only a short drive away, while Lidl supermarket and the new Kings Avenue Mall only 5 minute drive. 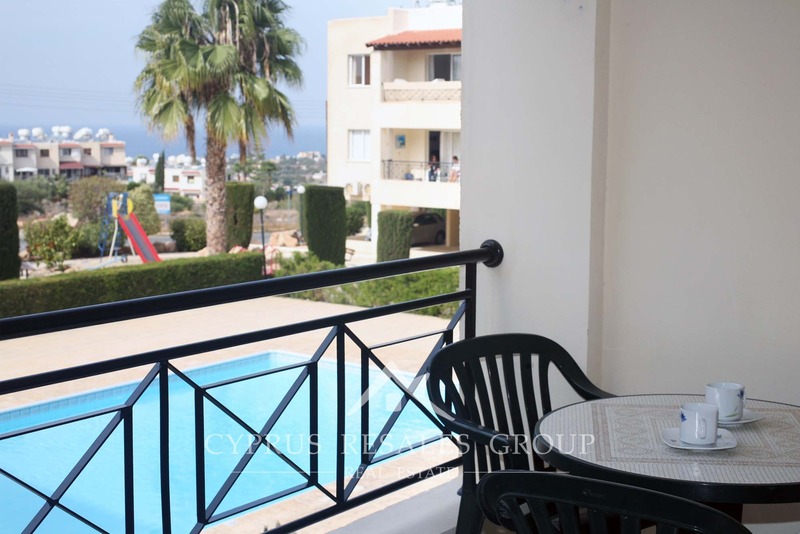 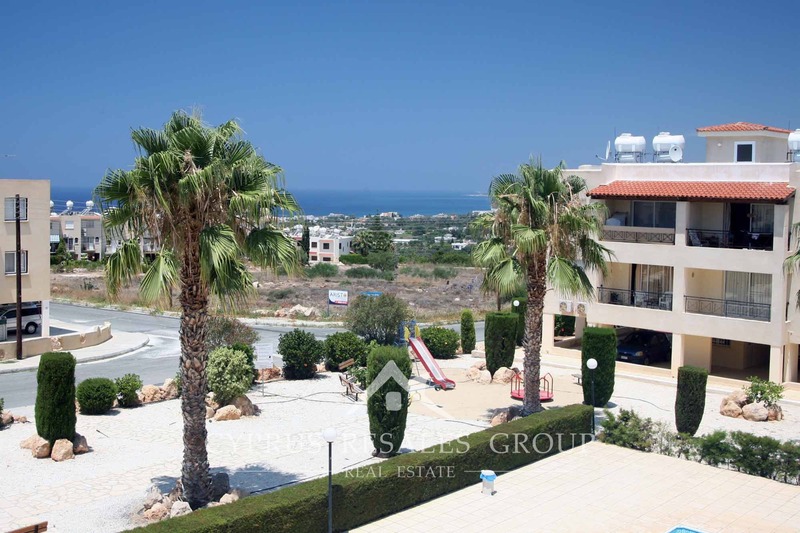 This simply wonderful 3 bedroom 2 bathroom apartment has all the boxes well and truly ticked: sea view, pool and gardens views leave you with very favorable impressions of the entire surrounding environment. 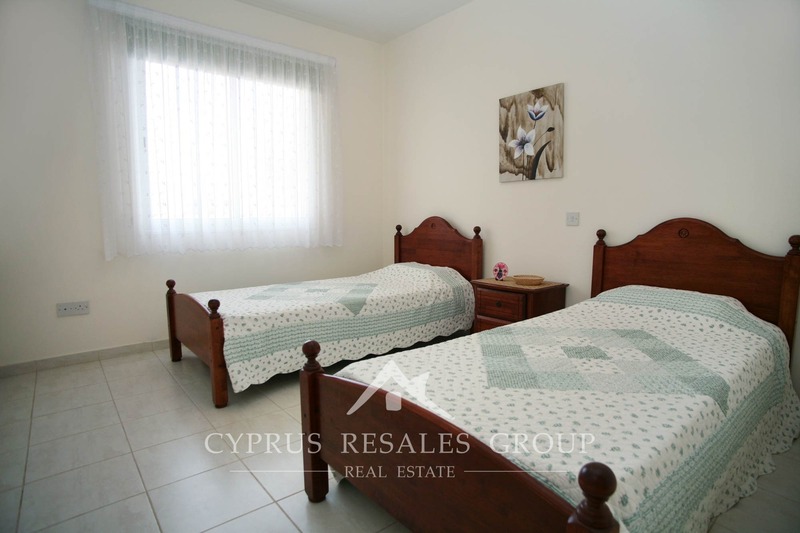 Three bedroom apartments are always a rare find, not many were constructed and they tend not to come to the market too often. 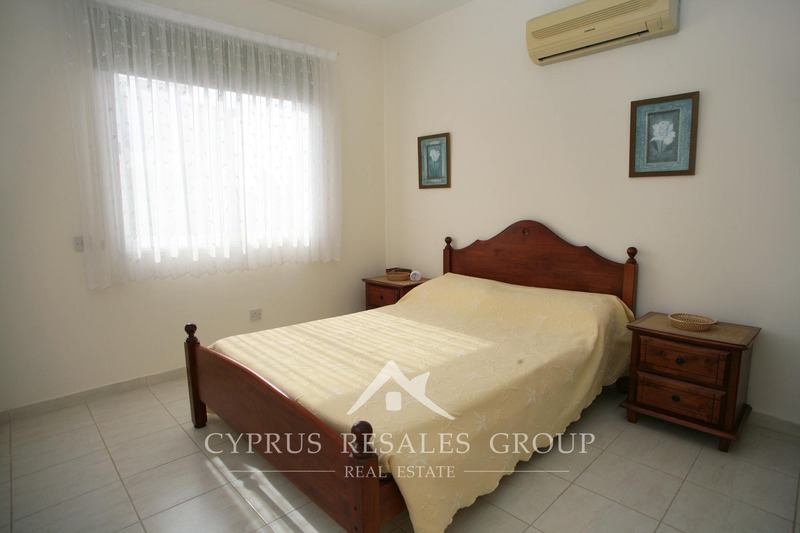 With 3 bedrooms and great living space this property is perfect for a substantial family who prefer all the benefits of resort projects. 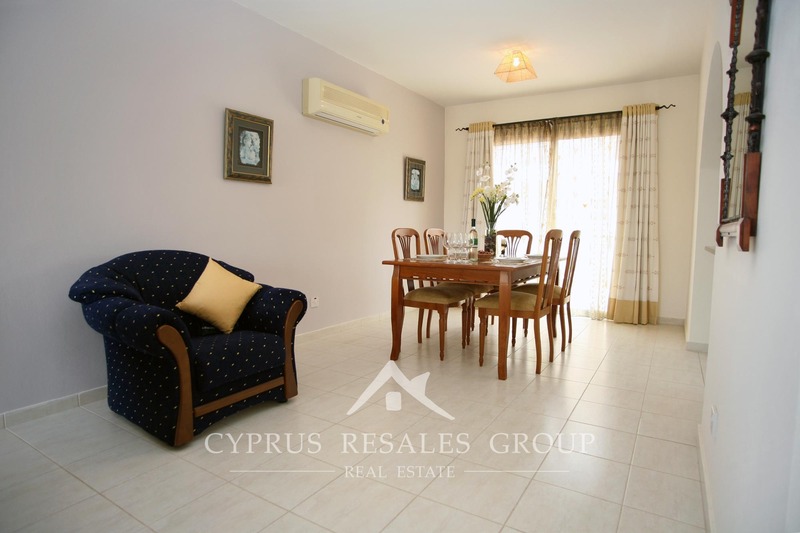 On entry it’s immediately apparent that this property represents an excellent opportunity. 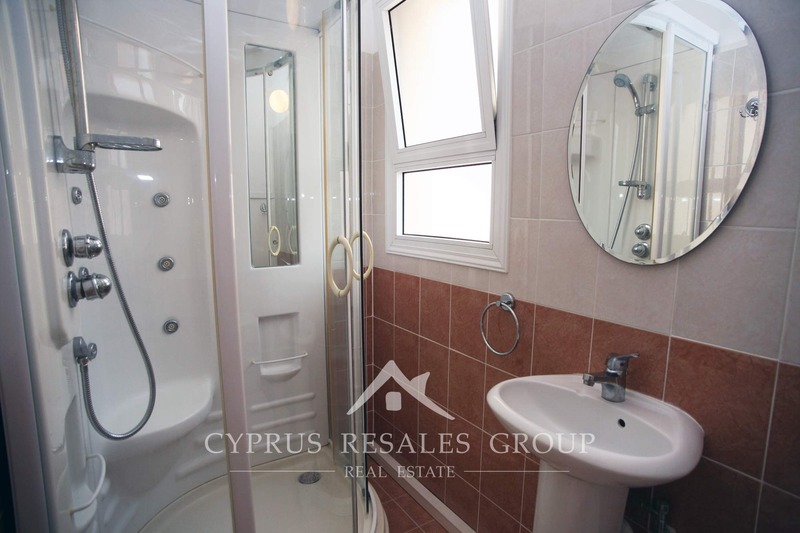 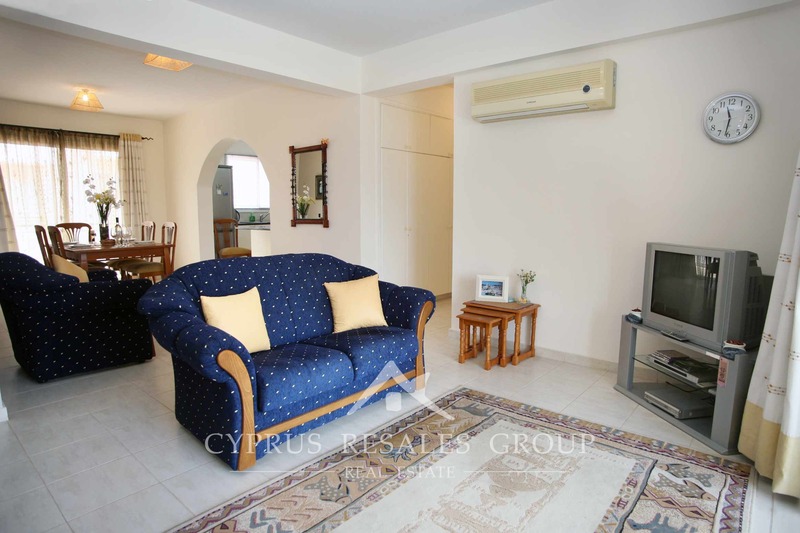 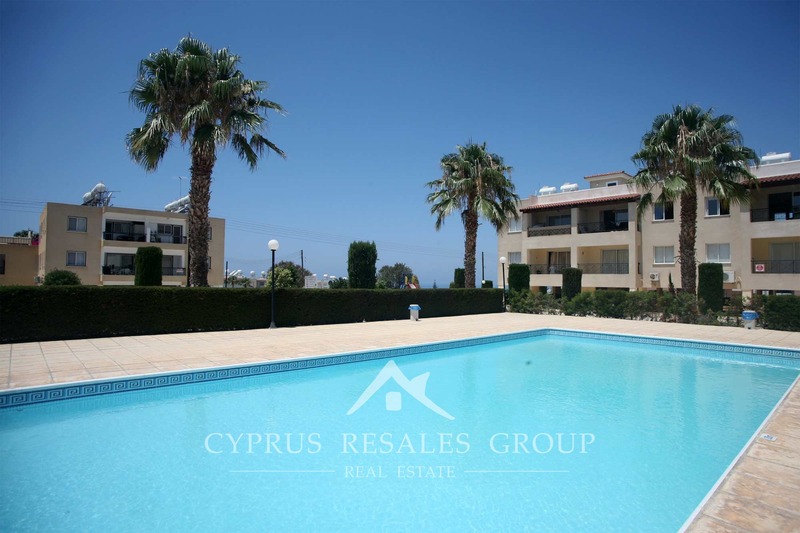 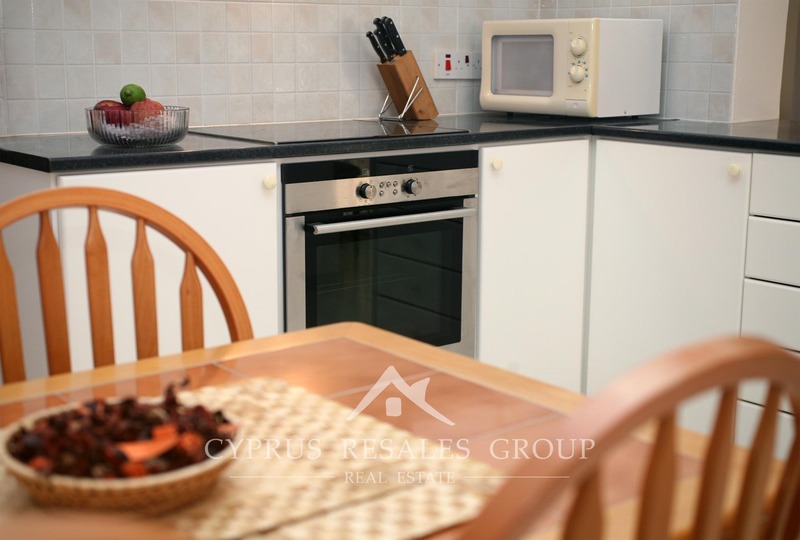 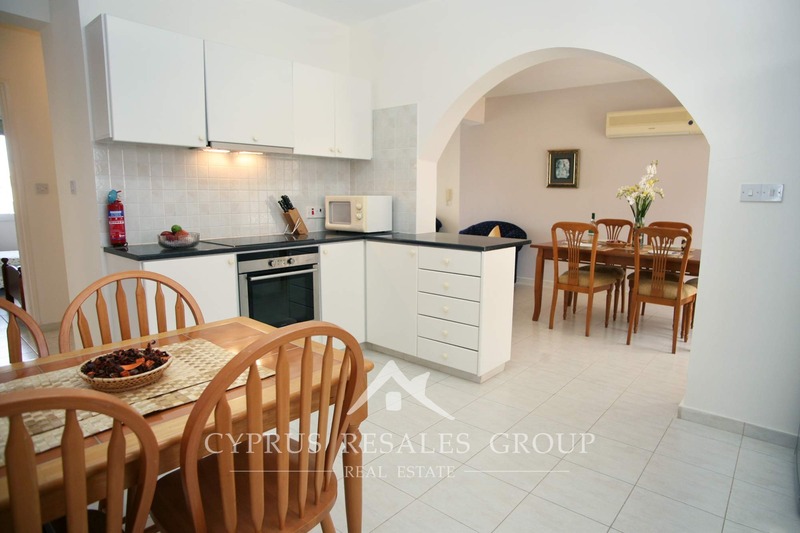 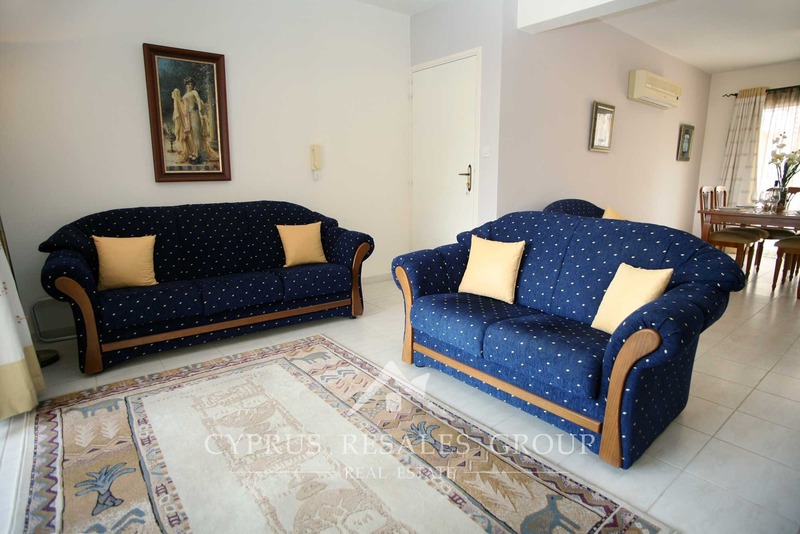 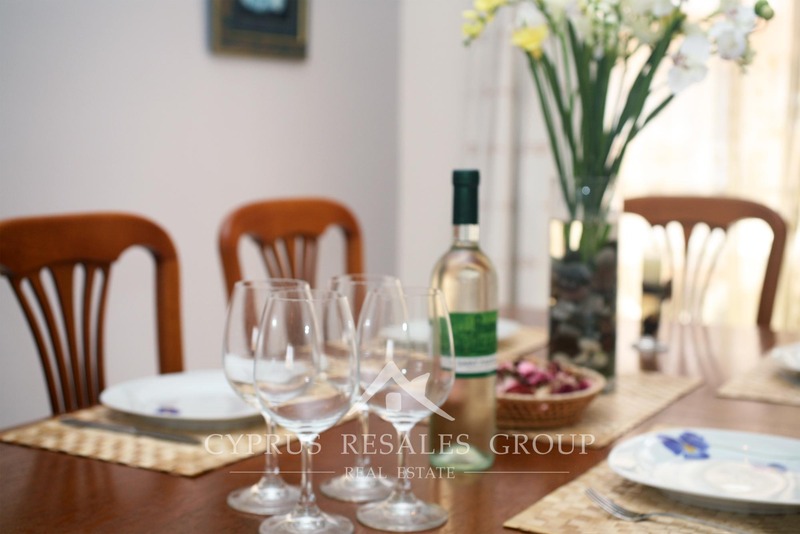 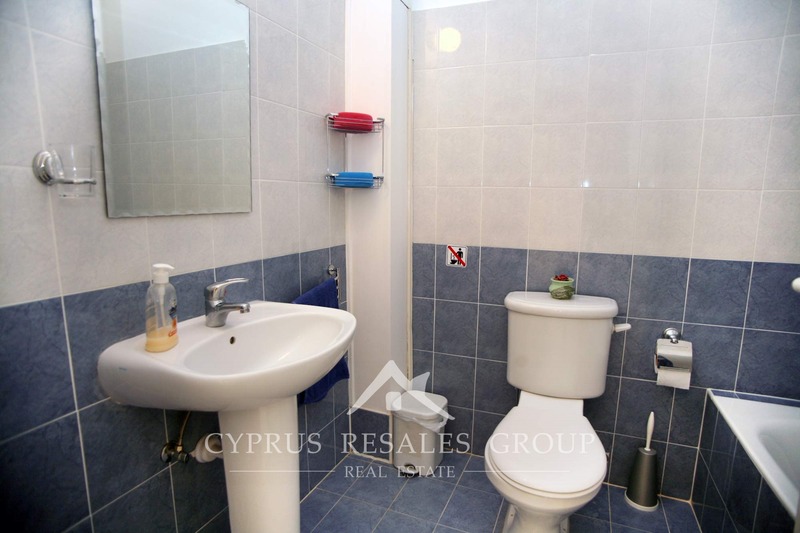 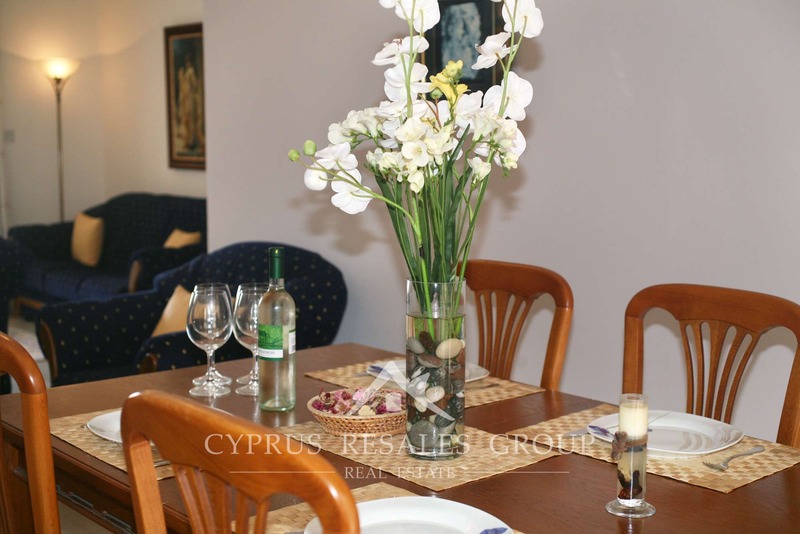 Kept in perfect condition by the current owners and with an interesting internal layout this is an ideal home in Cyprus. 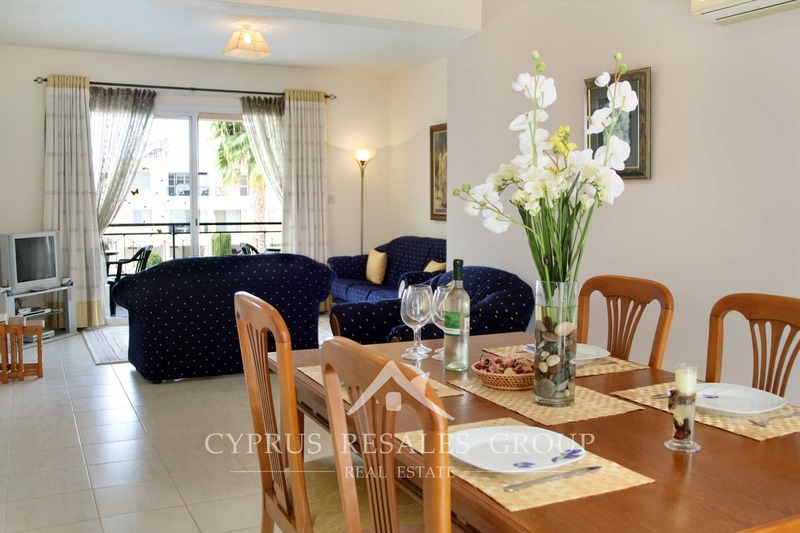 The living room and dining room open onto the picturesque sea view apartment veranda. 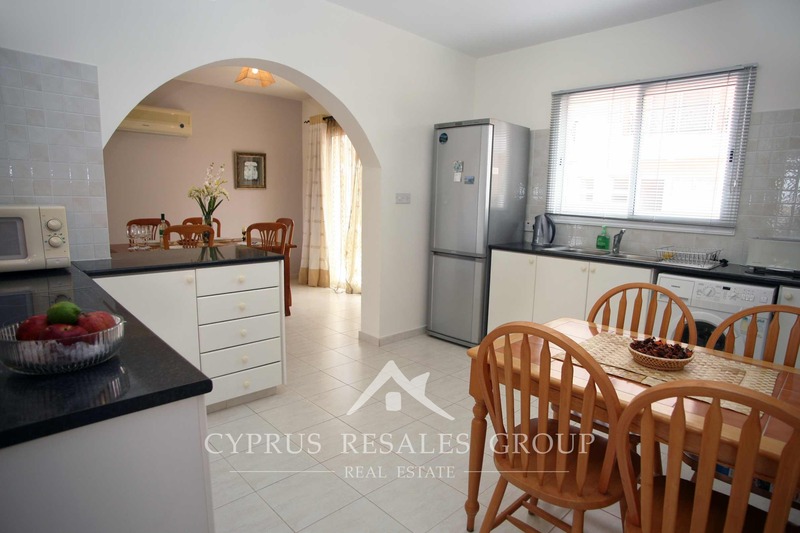 A large fully fitted kitchen with excellent space and adjacent door to another small veranda simply invites you to rustle up some healthy Mediterranean family meals. 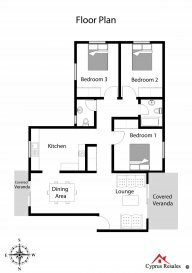 Three double bedrooms all with fitted wardrobes, a full size family bathroom and a good size shower-room are all connected through a central bright corridor. 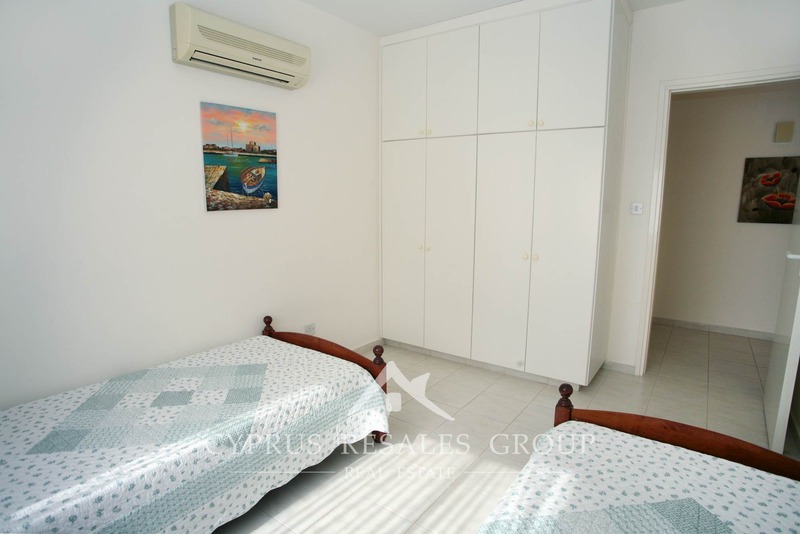 All due diligence checks are already complete with title deeds pending. 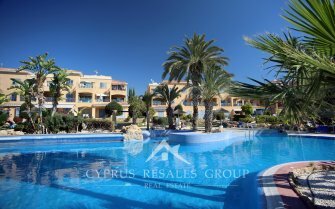 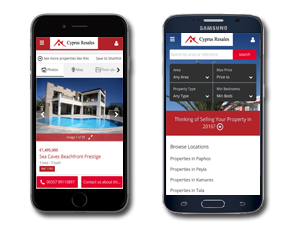 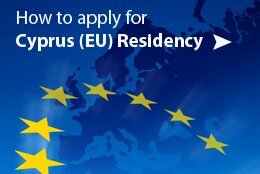 Three bedroom accommodation in sunny Cyprus on a resort project built by Aristo Developers at a keen price (common fees only 500 Euro)… Don’t miss out!